Diagnosis based on histopathological or cytopathological assessment frequently shows considerable interobserver variation. More efficient exchange of information over recent decades has improved diagnostic standards but the subjective nature of the interpretation involved means that the standardisation available in other branches of laboratory medicine cannot easily be achieved. 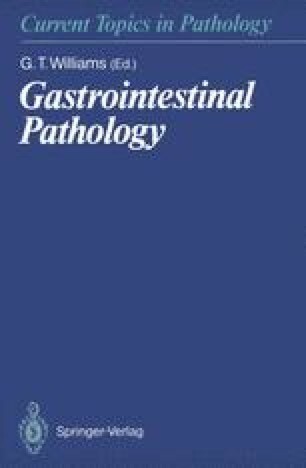 For example despite detailed and widely publicised attempts to achieve more uniform assessment of dysplasia in gastric (Morson et al. 1980; Ming et al. 1984) and in colonic mucosa (Riddell et al. 1983) there is still widespread variation even among histopathologists experienced in this field.